✔️MLM Labels is a mailing list company powered by Protech Communications. We have been serving Entrepreneurs and the network marketers since 1987. ✔️Our experience in this industry has enabled many network marketers and others achieve success by using our highly responsive mailing lists. ✔️Before ordering any mailing lists, we encourage you to read the descriptions and content that details the specifics of all of the mailing list categories that we offer. New names are added to our files on daily bases and all of our lists are CASS certified through software licensed by the US post office. Every list that we offer is also updated through the U.S.P.S National Change of Address file. This enables us to provide our clients with the most recent and updated Multi-Level Marketing mailing lists and Opportunity Buyers mailing lists available. 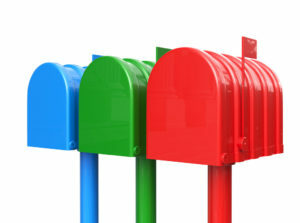 Every name that we add to our lists is generated through direct mail, classified ads, or space ads. We never generate our lists through the internet. Our lists may cost more than others but remember that you get what you pay for. All of our mailing lists come with a 100% deliverable guarantee. If you should receive any non-deliverables, we will replace each non-deliverable with replacement names at the rate of 5 to 1. This is good for a full 60 days from your list rental. We enjoy a clientele of many satisfied customers and it is our hope that you will be one of them. If you have questions, please contact our Customer Service number for further assistance.